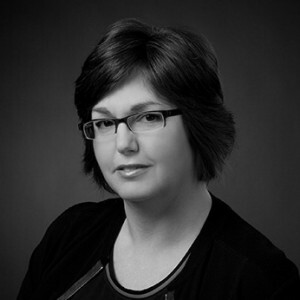 Betsy Kane is a senior practitioner in the field of Canadian immigration law with a reputation for providing practical and strategic advice. With over 25 years of experience, Betsy’s strengths lie in offering corporate immigration representation to employers and international employees. Betsy can be reached at bkane@capellekane.com or by calling our office at 613-230-7070. The government of Canada’s continued reforms to the temporary foreign worker program has provided Betsy with the opportunity to gain significant experience in corporate immigration compliance matters including Employer Compliance Reviews ECR and suspensions of Labour Market Opinions and work permits. The Law Society of Upper Canada recognizes Betsy as a certified specialist in Canadian citizenship and immigration law. She is a regular speaker at national and regional law conferences and is a sought after subject-matter expert for Canadian media outlets. Betsy was nominated by her peers for inclusion in the Best Lawyers™ Canada 2017, 2016, and 2015 editions and Who's Who legal: Corporate Immigration. Betsy has been recognized by Lexpert 2017, 2016, and 2015 editions as one of Canada's leading practitioners in the area of Canadian immigration law. Canadian Bar Association (Immigration Section), Volunteer Coordinator since 2016 in the areas of social media & external relations. We retained Philippe Capelle for an immigration solution to a time sensitive executive hire. Phil is a skilled and pragmatic lawyer. He delivered outstanding results. As a Director of Human Resources for a local high technology company, I relied on Capelle Kane to help me understand the intricacies of the immigration rules. Betsy made the immigration process easy for my employees and I.